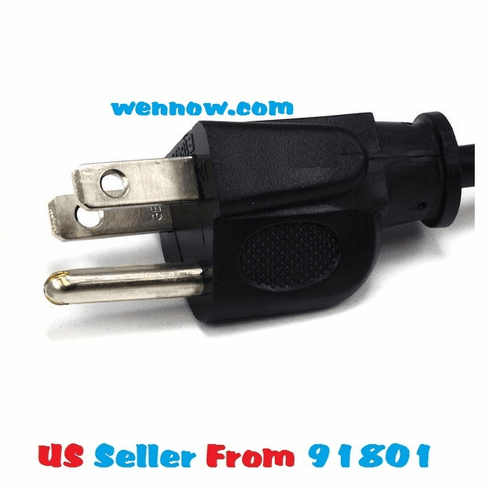 220680973961 14AWG Power Cord Cable w/ 3 conductor PC power connector socket (C13/5-15P) - 1ft (Black) Whether the power cable that came with your equipment are too long or too short, you can find replacement cables in the perfect length right here. The standard 3 prong wall plug (NEMA 5-15p) to PC connector (IEC C13) cable was made commonplace by PC power supplies. Today, they can be found providing power connections for many different products such as computers, monitors, printer, projectors and HDTV's. 14AWG are our most robust cables; extra thick and heavy duty to handle connections to the beefiest power supplies. These cables are designed to carry up to a 15 amp, 125 volt load. They are safe, strong and reliable.